Our range of products include slit coils, wear resistant steel - hardox 450, abrex 400 plate, abrasion resistant plates/ steel plate, abrasion resistant steel plate and aluminium alloy plate. As per requirements of customer in width from 15 mm onwards in multiples of 5 mm. I.D. of slit coils 508 mm dia. (20") to fit into standard decoilers of CNC and unicore machines. Wear Resistant Steel - ABREX 400 is mainly used in abrasive conditions. 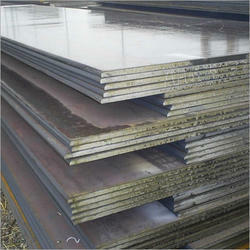 It is water satiating martensitic steel with a distinctive hardness of 400 HB. 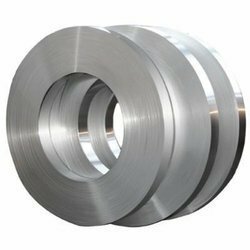 Due to its elevated rigidity, robustness and high yielding strength, this steel is used where descending wear resistance is required. When compared to conventional steels, ABREX 400 provides genuine benefits to equipment and allows a considerable thickness reduction. In addition to this, ABREX 400 is up to 3 times more wear resistant than S355 grade steel. 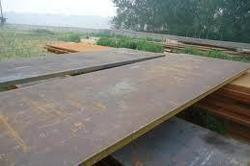 Offered steel is effortlessly welded and proves best for farming properties. 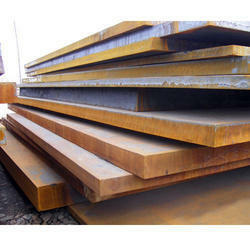 Abrasion resistant 200/400/450/500 wear-resistant steel. 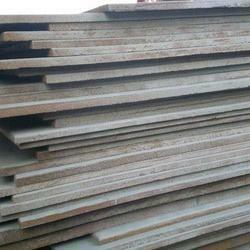 Has a hardness of approximately 200/400/450/500 hb. It combines high wear resistance with toughness and good weldability. Brand name supplied by us are of tiscral / sailhard/ jiscral/ las07 / hardox / dillidur / durostat / abraso / xar and other well know brands. 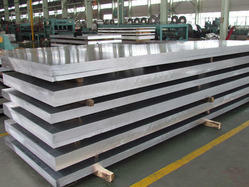 We have been able to offer our clients a qualitative range of Aluminium Plate 19000. 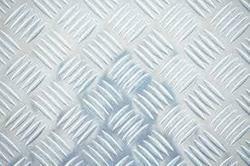 HIC (Hydrogen Induced Crack) Resistant Steel Plates is widely demanded in the market for its ultra clean and homogeneous attributes. This steel plate is tested to exhibit the plates elasticity to the long term effects of hydrogen induced cracking. 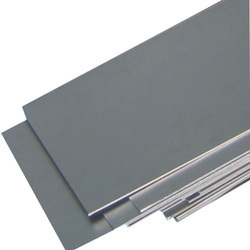 By using HIC steel plates, losses in mechanical properties can be barred and consistency ensured. 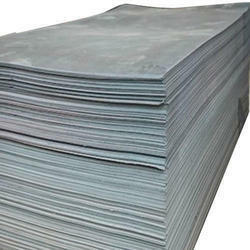 HIC resistant steel plates are particularly required for critical purposes such as pressure vessels deployed by oil and gas firms. 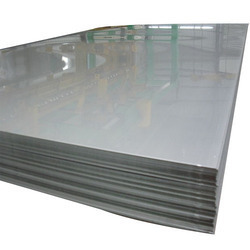 These HIC resistant plates are manufactured using the electric arc furnace with desulphurisation, dephosphorization, ladle refining and vacuum degassing. Customers can avail optimum quality HI MN. 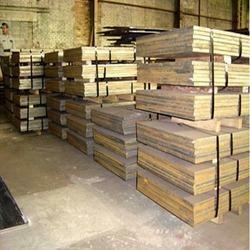 Steel Plates from us at industry leading prices and within the postulated time frame. 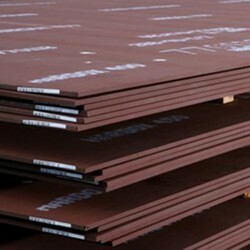 Manganese Steel Plates/Sheets that we have on offer are made available in 12% - 14% manganese steel grades. Availability of these products in various shapes like round, square, flat, hexagon, plates, rings and block sheets make them hugely popular in the market. high abrasive resistance,and impact toughness. Work hardening steel - the more impact and abrasion it gets the harder the surface becomes. 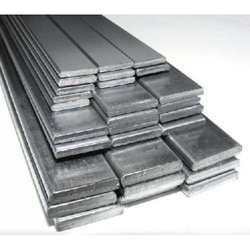 Steel stays ductile underneath - as the surface wears - only outer layer gets hard. With continued impact the manganese steel can harden to HB500 above. When rolled - never brittle. Work hardened surface is almost friction-less. Can be cut by plasma / laser / water jet / oxy-acetylene. Owing to our extensive years of industry experience and profound market understanding, we are providing a wide gamut of Hardox Plate. It is one of the most demanded roofing materials as it is highly used for giving a sturdy construction to your roofs. The offered plate is manufactured utilizing superior quality raw material and latest technology. Moreover, a team of our quality controllers conducts a series of quality tests on the entire range to seek out any possible defect. In tune with industry standard, we provide the entire range in various customized options and industry leading prices. 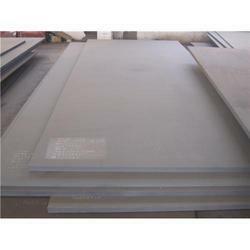 We hold years of experience in offering our clients a wide range of Wear Resistant Steel Plates. Known for their durability, fine finishing and corrosion resistant features, our range caters to the requirements of numerous industries. Our team tests all the products on well-defined parameters before the final delivery. 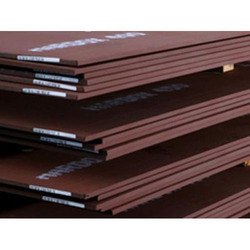 Being a well established organization, we bring forth an excellent assortment of Steel Sheets, Plates that are used for different industrial fittings. Our offered range is widely appreciated by our prestigious clients for its precise design and durability. The offered plates can also be availed in various sizes, designs and other related specifications. Our provided plates are manufactured by a team of our vendors adept professionals utilizing quality approved raw material and advanced technology. 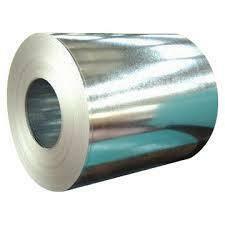 Sheet & Plate in Form of : Coils, Foils, Shim Sheet, Perforated Sheet,Chequered Plate, Strip, Flats, Blank (Circle), Ring (Flange) & Angle, Channel, Tray Etc. Pipe Fittings Services : Heat Treatment, Annealing, Pickling, Polish, Electroplating, Anodising, Rolling, Cutting, Bending, Forging, Minor Fabrication Etc. Test Certificate : Manufacturer Test Certificate / Laboratory Test Certificate from Govt. Approved Lab. & Under Third Party Inspection. 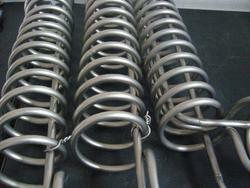 Size : Thickness: 0.1 mm to 48 mm, Width: 1000 mm to 2500 mm, Length: 2000 mm to Coil. The Abrex 450 steels are the most widely used of the wear resistant grades. They exhibit an excellent combination of high resistance to impact, workability, weld ability and resistance to abrasion. 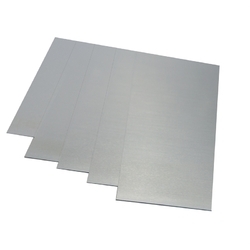 We are among the acclaimed firms, engaged in offering high qualitative Aluminum Alloy Sheets. These sheets are precisely manufactured using topmost grade raw-material and the latest technology in tandem with set industrial norms. 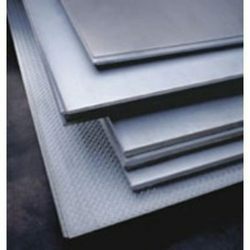 According to the specific clients' requirements, these sheets are made available in various specifications. Clients can avail the entire range of sheets from us at affordable price. We are ISO 9000-2008 certified company import, export, stockists and suppliers of all type titanium metal. 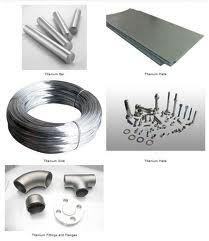 In form sheet, plates, strips, flates, wire, round, tube, pipes, fittings, flanges, forgings etc.